A wounded gunslinger fights for his life in this collection of three classic stories from one of the most popular Western authors of all time! Luck is initially on Cheyenne’s side in Gunman’s Bluff,” as he manages to kill one Martin brother and wound the other in a shootout. But in the process, Cheyenne himself is shot in the shoulder, and it will be a while before he’ll have use of his right hand. But with the Martin family immediately out for revenge, Cheyenne doesn’t have time to heal, and he’ll need more than just one good hand to keep him alive. Torridon” tells the story of Paul Torridon, raised from the age of seven by his family’s archrivals, the Bretts. Over the years the hatred between the local clans slows to a simmer, until one day a majestic Brett family colt becomes a one-man horse . . . to none other than Paul Torridon! Finally, in the title story, wealthy rancher Oliver Lane is believed to be near death. Lane’s will calls for his entire fortune to be passed along to his drifter nephew, Sandy Lane, but only if Sandy should return before a set date. After that, it’s all up for grabs for Henry Barnes, and Barnes is not one to leave such matters to chance! Max Brand has been captivating audiences for generations with his vivid tales of wild frontier exploits. 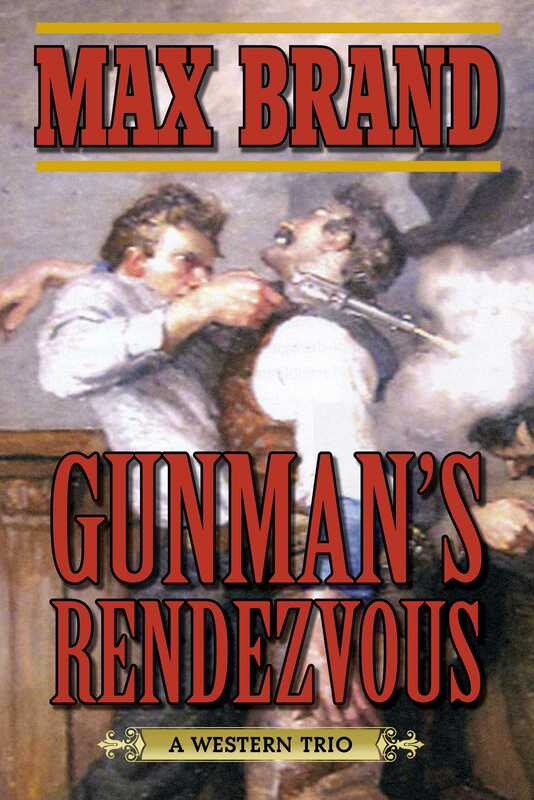 Gunman’s Rendezvous finds the legendary author in top form, spinning three edge-of-your-seat stories that find rugged heroes in life-and-death situations.